It’s based on the biblical book of Joshua. Here Max Lucado takes us to Canaan where the isralites are going to possess their Promised Land after 40 years in the wilderness. There are valuable lessons we can learn from their experiences and we’ll see some of them in this book. We Christians are always excited whenever Max Lucado releases book. We know It’s going to be great no matter the subject! He’s genuinely gifted from God for inspiring others through his very unique writing style. I think it is not even necessary for me to say that in this book words are used wisely and the illustrations are awesome. There are chapters that touched me deeply because they exposed some issues I was dealing with (10, 13 and 16, my favorites). Others were good but I didn’t feel that identified at the moment, which doesn’t mean I won’t need them in the future, of course. Perhaps I wouldn’t suggest reading this all at once. I think is so much better to take it as a devotional, you know, reading one chapter per day because each one of them talks about something different and very specific so It’s better if you let that truth sink in before you move forward. Chapters are short, I like that in a book, specially if we’re talking about non-fiction. However, sometimes I felt there were too many stories in one single chapter. Good stories, yes, but maybe too much to digest. In general, this book was as good as It promised to be and I definitely overuse my highlighter. 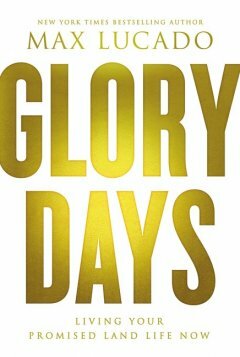 These days are glory days indeed! – “God is jelous for our trust. His message is clear: trust me and me alone”. – “God did not say: Joshua, take the city. God said: Joshua, recieve the city I have taken”. – (Speaking of Rahab) “Her story of harlotry is part of her testimony”. 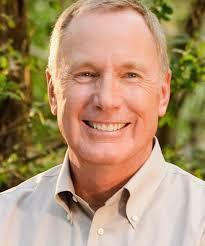 Max Lucado has touched millions with his signature storytelling writing style. Awards and accolades follow Max with each book he writes. Max is the first author to win the Gold Medallion Christian Book of the Year three times—1999 for Just Like Jesus, 1997 for In the Grip of Grace and 1995 for When God Whispers Your Name. In 2005, Reader’s Digest dubbed him “America’s Best Preacher.” In addition, he has been an ECPA Gold Medallion finalist with more titles than any other author in the industry.